Local transportation is a primary consideration when planning a Caribbean vacation. How to get from airport to hotel, and what is the best way to get around the island? In St. Lucia, unless you have a local friend to take you around, your main options are renting a car, using public transportation (i.e. minibuses) or hiring taxis. Or a combination of all these. There are also airport transfers, which would take care of your transportation between airport and hotel, both coming and going. When you land in St Lucia, either through Hewanorra International Airport (in the southern town of Vieux Fort) or George F L Charles Airport (in the capital city of Castries), your first consideration would be how to get to your place of accommodation. Is someone picking you up? Did you arrange for a transfer with your hotel? Or are you planning to rent a car, or maybe hiring a taxi to drop you off? Most hotels provide airport transfer services. They are pre-arranged before arriving in or departing from St Lucia. While each hotel would have its own particular arrangements for transfers, the typical experience is that you would be picked up, along with fellow guests, from the airport and driven to your hotel. The transport provider would be a vetted contractor, meeting your hotel’s standards for safety and guest comfort, among other considerations. Your hotel may also have more deluxe transfer options (such as private transfers, as opposed to a group ride). When making travel plans, it is best to check with your hotel on what transfer services are available and how to take advantage of them. If you’re between 25 and 65 years old, have held a valid driver’s license for at least two years, a rental car would be an ideal way to get around and explore the island. A local permit is required for persons with non-St Lucian licenses who do not hold an international driving permit; these are issued at the time you are renting the car. 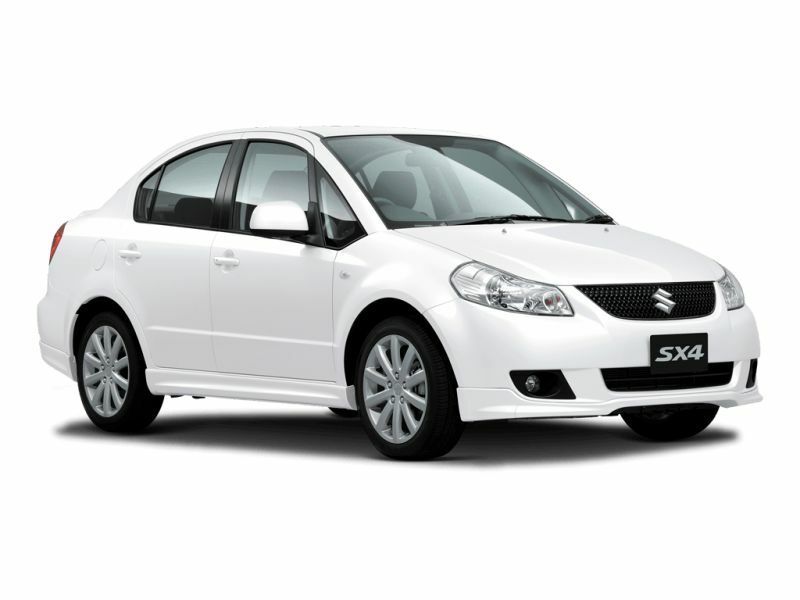 Car rental services are available at both airports. Prices vary among the different providers and are based on a number of factors; the size and type or class of the vehicle you decide on, the extent of insurance cover (you may have to deposit money based on the type of insurance you choose), among others. Additionally, there are optional services available for an extra cost. Such extras may include roadside assistance, chauffeur service, car seats (if you’re traveling with children), etc. As not only costs but also rental terms may vary among providers, confirming these beforehand will help to avoid surprises. 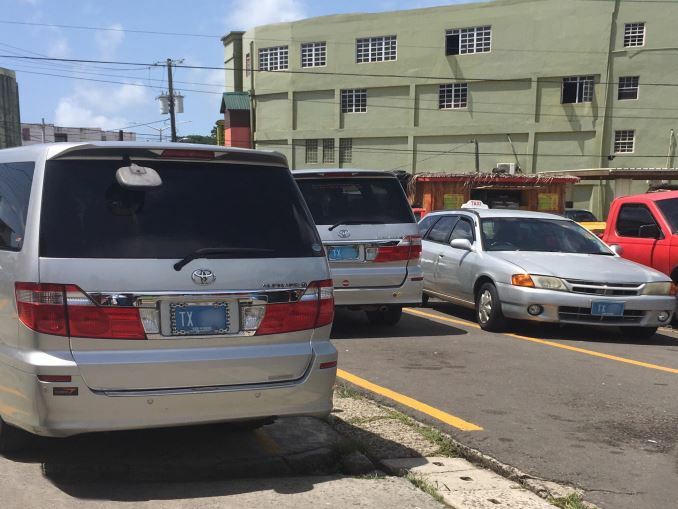 Taxi stand at Jeremie Street, Castries. Hotels typically have arrangements with taxi associations, and will facilitate the process should you wish to hire a taxi. These rates are fixed, and will likely be posted in a convenient location (in your room, at the front desk etc). You can also hire a taxi on your own by engaging one from a taxi stand or calling for a pickup. Going the taxi route will have you riding in comfort, with a personal guide to boot. Our taxi drivers are sociable and knowledgeable about the island and are happy to answer questions and give suggestions on the best places to get local food or places to visit before you leave the island. You can also arrange for guided tours with them. Taxi fares are not metered; if you hire a taxi outside the arrangements made by your hotel, be sure to confirm the fare before heading off. Though the rates are standard by destination, the drivers are open to negotiation. Our taxis typically have a blue ‘TX’ license plate. Minibuses at the 1A (Castries to Gros Islet) bus stand. 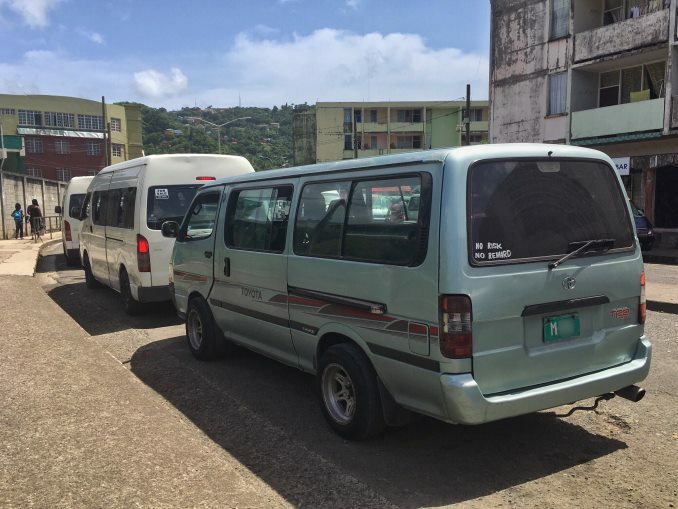 Minibuses, which typically have green ‘M’ license plates, are the primary form of transportation in St Lucia, and fares are relatively inexpensive. Taking the bus can be fun if you’re going for a more authentic and immersive experience. On the flip side, you may have to sacrifice some comfort. Our buses being significantly smaller than most North American and European buses, seating space is not usually generous, and there is likely to be no air conditioning. Buses follow a planned route but do not follow a schedule – the bus will leave the stand when it is filled with passengers. Some bus stands close up shop later than others – Castries to Gros Islet buses may run later than 11 pm (especially on weekends), while Castries to Vieux Fort buses may stop by 8:00 pm or earlier. You can pick up a bus at a designated bus stand or flag one down along the way. When you’ve reached your destination, simply let the driver know (loudly!) that you’re stopping; the bus will stop either along a marked bus stop or wherever else it is safe and roomy enough to pull over. Bus fares are fixed and non-negotiable. Fares range from the minimum fare of EC$1.50 (approximately US$0.60) to no more than US$5.00 (about EC$13.00). Renting a car is a great option for more adventurous visitors who like to explore on their own, or for repeat visitors who already have a feel for the lay of the land. Taxi rides, no matter how short, will always cost you a great deal more than taking the bus, no matter your destination. While the fare from Castries to Vieux Fort Town would cost you only EC$8.00 (approximately US$3.00), a taxi to the same vicinity would cost you about EC$200.00 (approximately US$75.00) for a party of four. Minibuses are good for straightforward trips and are a very inexpensive way to see a lot of the island and interact with locals. Unless you go the airport transfer route or use a rental car, it is strongly recommended that you hire a taxi for your arrival to and departure from the island. Our airports have no dedicated shuttle service and minibuses (i.e. those with ‘M’ plates) generally do not transfer passengers to the airports, though some bus drivers may agree to special arrangements for an additional fee. Your place of accommodation will have more detailed information about the island’s transportation services.